Collection of Navratri messages, Navratri greetings, Navratri wishes and Navratri sms messages can be found on this page. 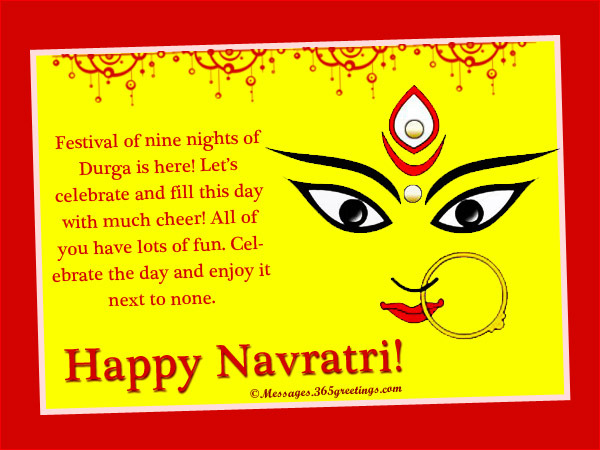 just browse our samples of happy Navratri messages and Navratri text messages that can be used for free. We also include some popular Navratri quotes and Navratri sayings. To complete this collection, we also listed our some Navratri card greetings and Navratri sms messages that can be used as Navratri facebook status and Navratri tweets. Enjoy!